Bring café quality meals into your home with our selection of Bazaar® Turkish Bread. Made using a traditional Mediterranean recipe, Bazaar® Turkish Bread is a fresh, great tasting bread alternative which will open you up to a world of new and interesting meal ideas. Perfect for sandwiches, burgers, or for serving with your favourite dip. 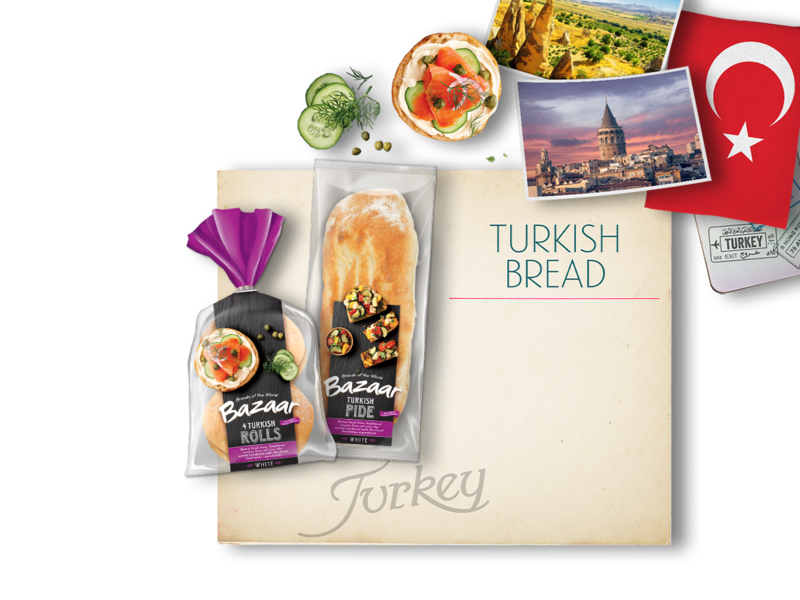 Look out for the Bazaar® Turkish Bread in your local supermarket! Δ% Daily Intakes are based on an average adult diet of 8700kJ. Your daily intakes may be higher or lower depending on your energy needs.